So The Rock has been beasting with his selfie game while filming his upcoming action-comedy film, "Central Intelligence," which is always awesome for us. Ain't no such thing as too much Rocky is what we say over here at the Smark Henry Offices. 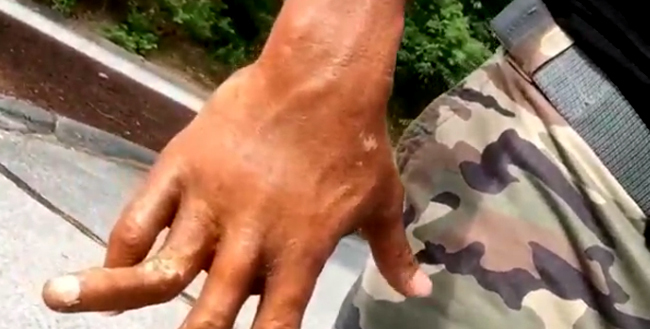 That is until we saw the latest video he posted on his Instagram account featuring possibly the most disturbing injury we've seen all year to an appendage of an ex-wrestler turned Hollywood star standing over 6'2" with Samoan lineage. "Bleed? I ain't got time to bleed." And with that line, we think The Rock deserves to take the Chuck Norris crown of utter manliness for all time. Get well soon, People's Finger. We're rooting for you. [UPDATE] New Line Cinema has confirmed to Variety that this was just a prank starring a very real-looking prosthetic finger. The People's Finger, it seems, is alive and, er, flicking.